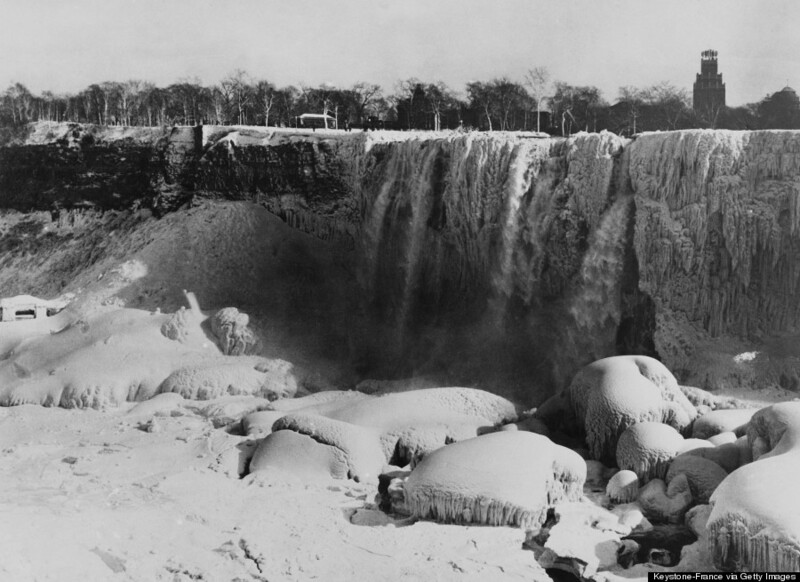 The winter chill might have most travellers thinking twice about venturing outside to visit Niagara Falls, but it wasn't always like that. 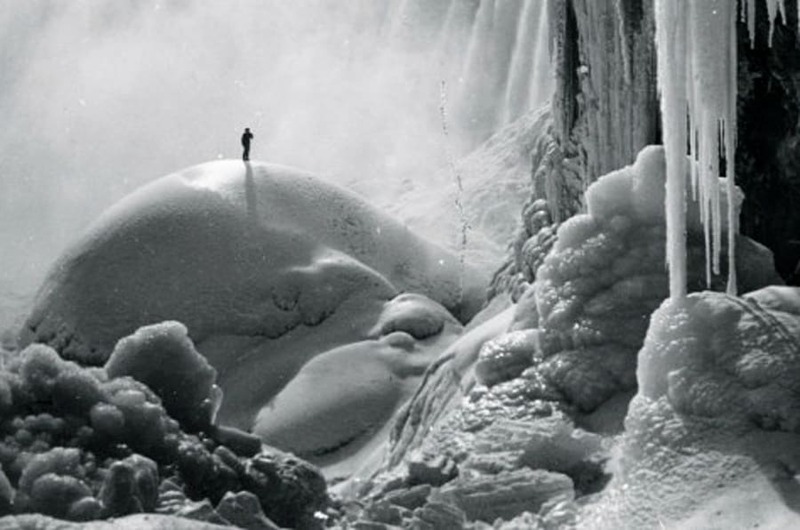 If anything, these vintage photos suggest there might have even been a time when people enjoyed travelling out in the cold to marvel at the three waterfalls. 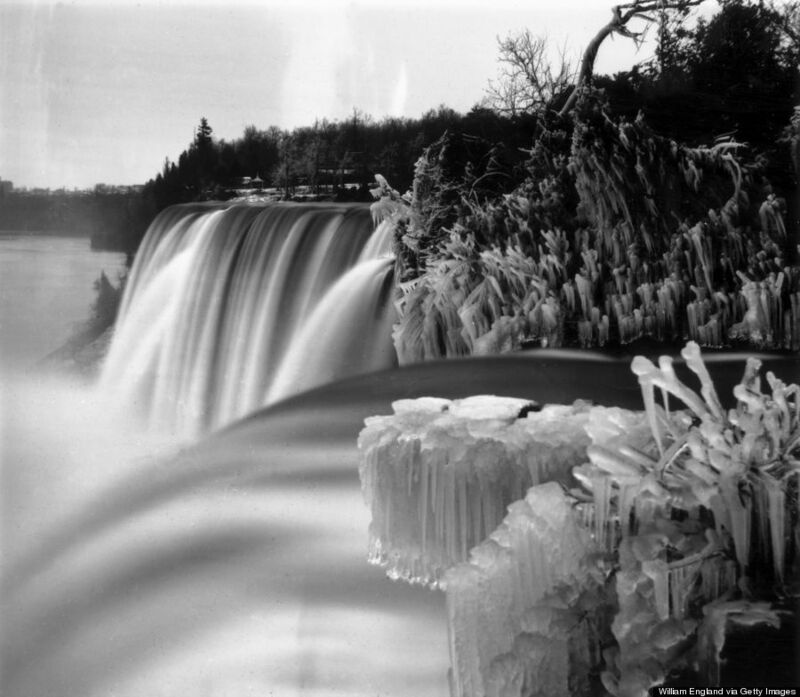 This typical Christmas card setting shows the Falls beginning to freeze. 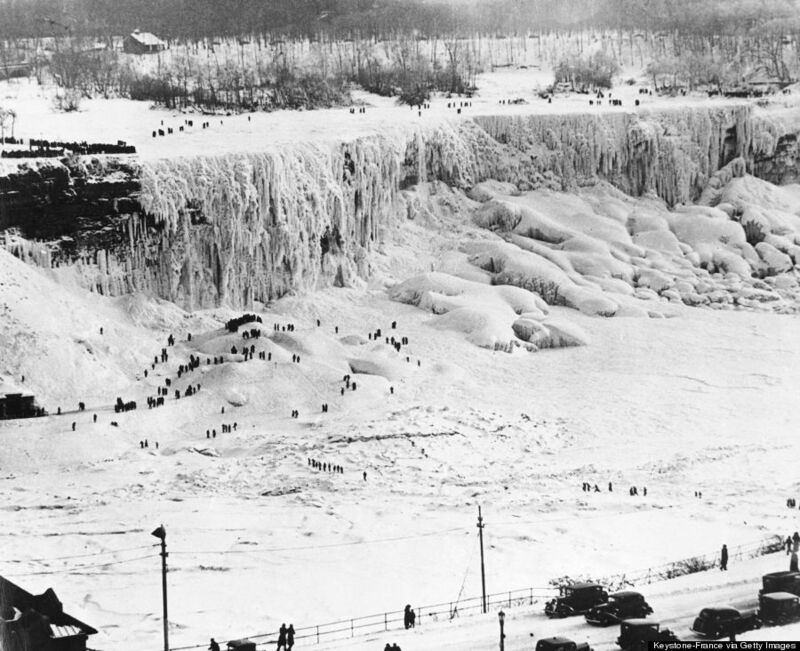 Dec. 21, 1937. Like many outdoors attractions, the crowds tend to go into hibernation once the mercury begins to dip below freezing. 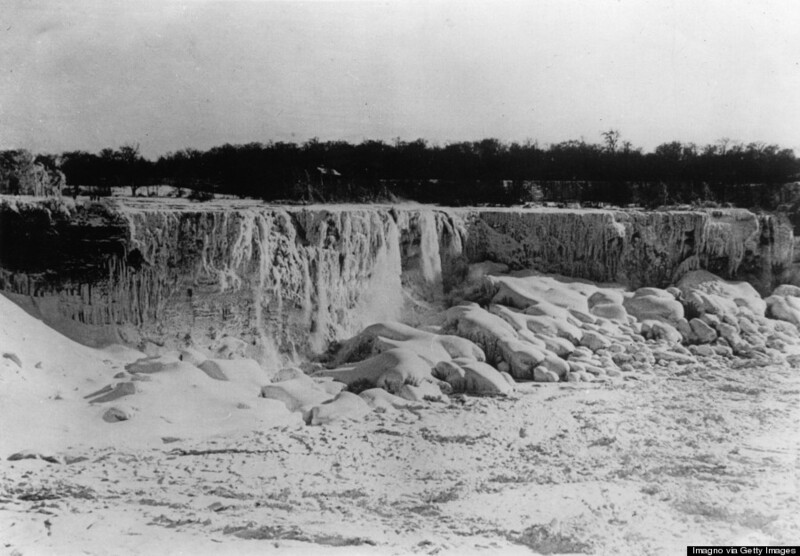 1859: Niagara Falls during the winter as seen from Goat Island. Luna Island stands in the middle of the cascade, known as the American or Rainbow Falls, and Prospect Point can be seen in the background.  But there seems to be some renewed interest as of late. 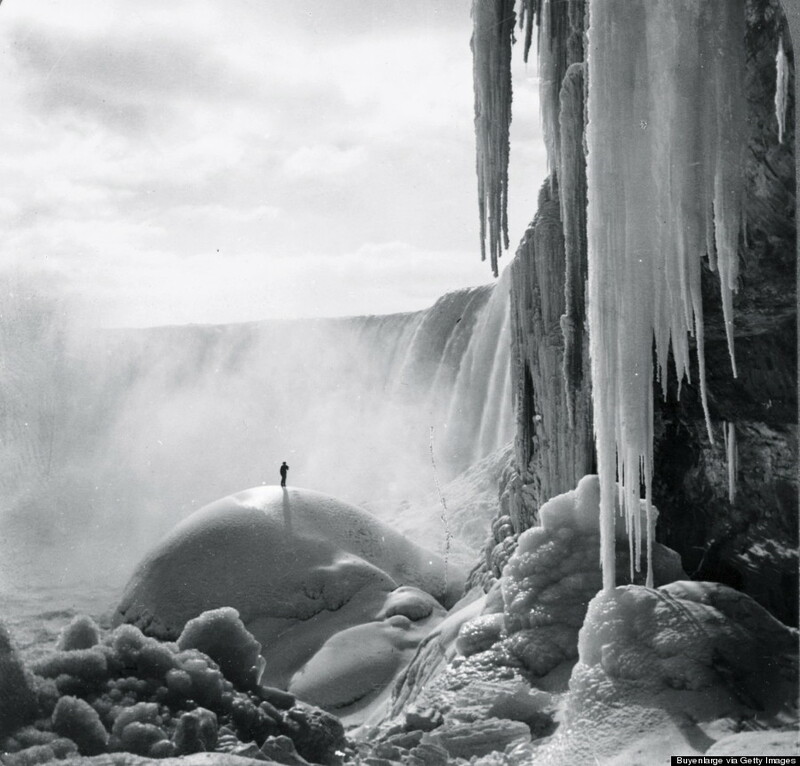 January's sub-zero temperatures were apparently enough to freeze parts of the Falls, making for pretty photos and renewed interest among potential tourists, according to the Toronto Sun. 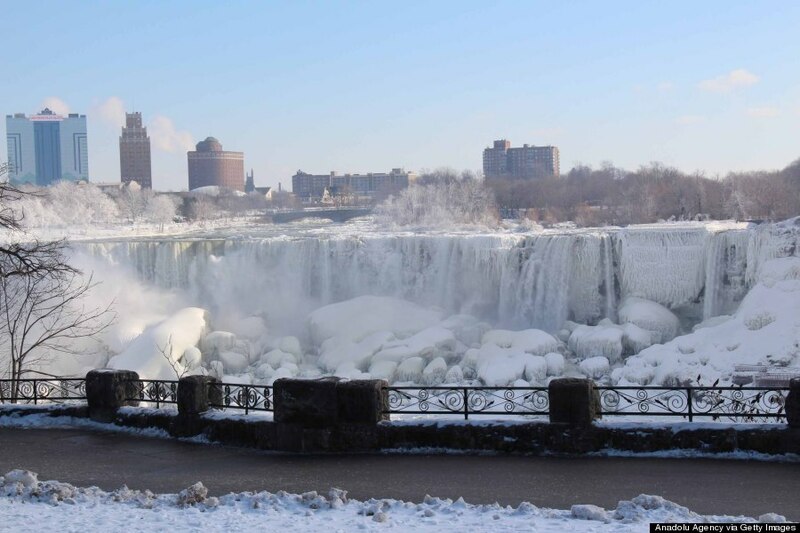 While certainly cold, the temperatures weren't low enough to encase all three waterfalls in ice, NBC reports. Nevertheless, the attention has pushed the Niagara region into the spotlight -- which, conveniently, is in the middle of a lights festival featuring 125 animated lighting displays and three million tree and ground lights, according to the Ontario Power Generation Winter Festival of Light's website.